Dreaming of a home for your family to grow in? This is the perfect place to look. The dream of open, green spaces, safe streets with kids playing happily, and a supportive community where neighbours look after each other is alive and well in Upper Hutt. Our city is the perfect place to raise a family. With an abundance of quality schools and a relaxed lifestyle with a broad range of family activities, setting down roots in Upper Hutt will ensure your family has access to some of the most stunning parks in the Wellington region. 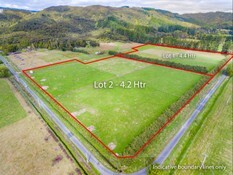 Many properties in Upper Hutt either back onto or are a stones-throw away from the numerous parks and reserves that the city is known for. Upper Hutt boasts many sports, special interest, and social groups that will introduce you to lifelong friends in a supportive community. Upper Hutt offers a great environment to meet new people and be a part of civic life. Unlike neighbouring areas, Upper Hutt’s homes can accommodate even the largest of families, with many four, five and even six bedroom homes ready and waiting for you to move into. Back yards are large enough for a trampoline, sandpit and swing set. Start packing! Your dream life is closer than you think. NEW BUILD - VERY NEAT PACKAGE! !